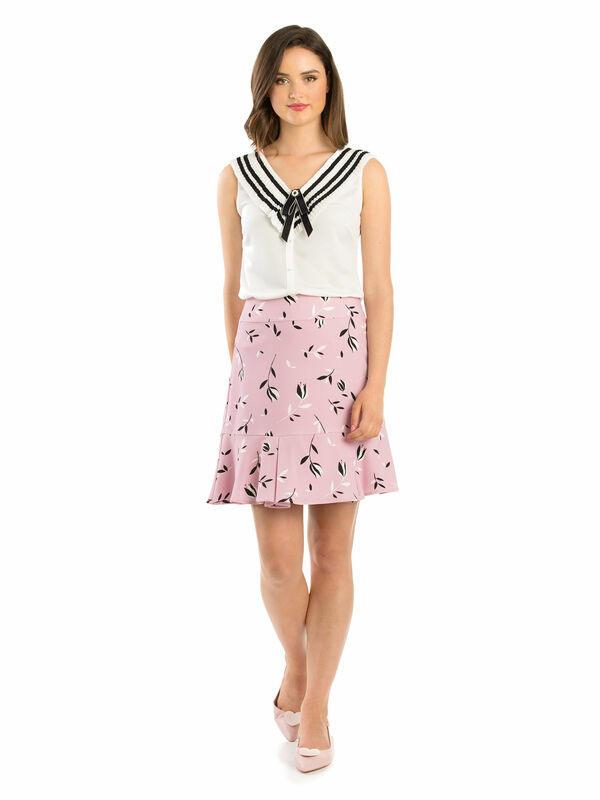 Tahira Top https://www.review-australia.com/global/tahira-top-black-cream/RE19TW074.RECRM005.html A sailor-inspired fundamental addition to your wardrobe, this Tahira Top adds an immaculately tailored finish to any look. 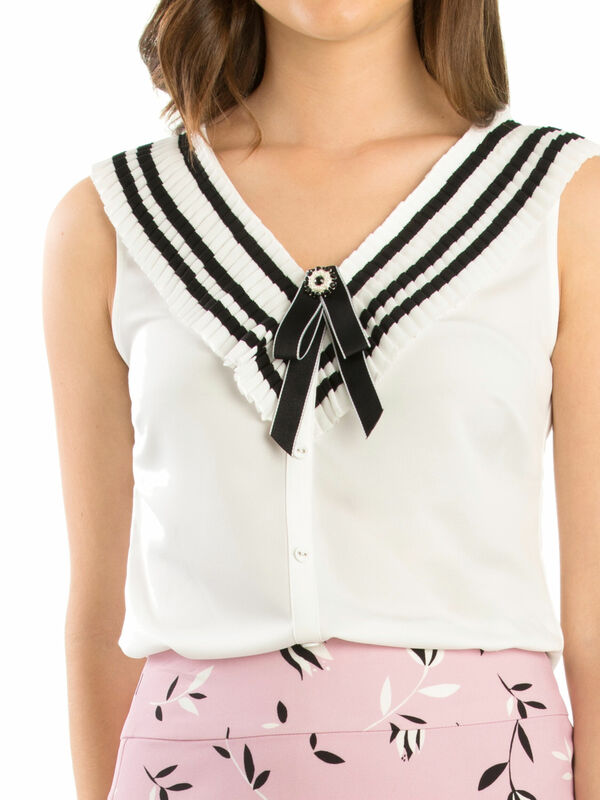 Decorated with a pleated black and white neckline and a double bow detail for a stand-out finish. 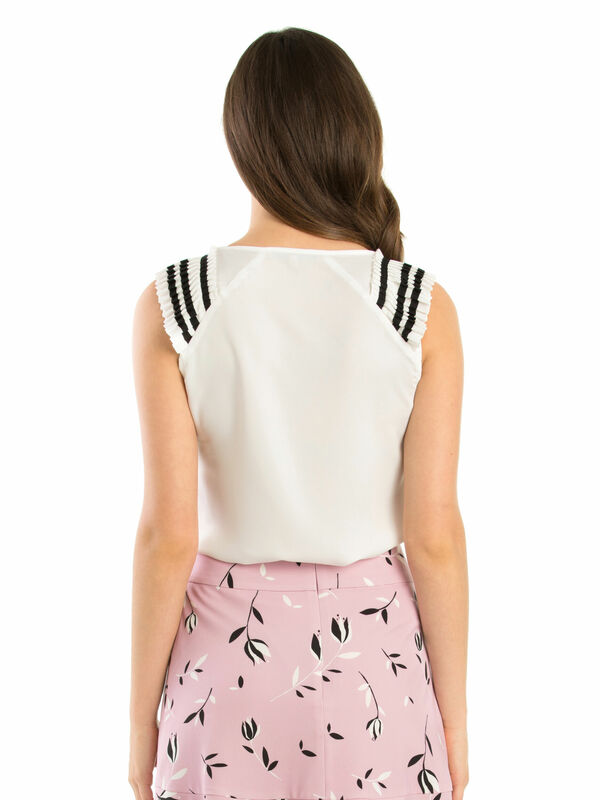 It easily buttons up the front and the lightweight materials means it drapes over the body beautifully.